Were you punished by writing lines at school? You and I perhaps remember staying in detention at school and ‘writing lines’? These ‘lines’ were usually an extra-curricular punishment, and so scribed after school hours. But sometimes not: on occasion, lines were written in school time, though I do not recall why that should be. The content always ‘aspired’ to be admonishing and rebuking. Each line was a sentence literally and figuratively. Their imposition by the class teacher was triggered by some minor misdemeanour, and the non-disclosure of the miscreant, and the obstinate silence of a school class who would not ‘own up’, ‘betray the culprit’, or acquiesce following the high-spirited naughtiness—however cowed and bowed the class may be. Lines, you see, were usually a collective punishment, driven by a silent conspiracy, that all had tacitly agreed, and hence every kid was in it together ‘with a class-community-spirit’ at the helm. How easy a punishment of lines could appear to be for some! On occasion, they were stark, solo exercises, with a kid sitting alone late, writing out his or her lines, one after another … with the class teacher grudgingly witnessing the sentence being carried out, and with the occupant of every other chair and desk silent and comatose, contemplating what may be on the black and white television at home (as they were in those days). They could occasionally conjure up a degree of glee! 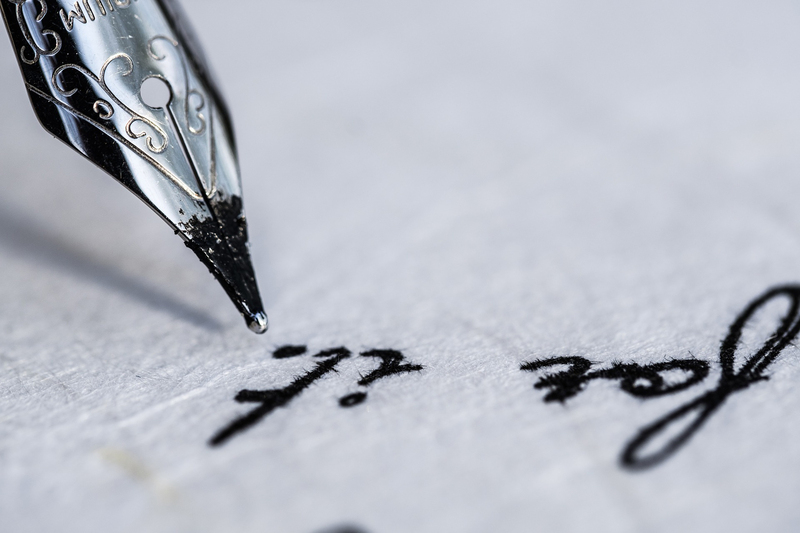 Yes, hand-written lines were a penance, but I remember dawdling somewhat in my line-writing punishments owing to my love of hand-writing, and conformity to rounded letters of uniform height and width. My friend and I would stifle giggles at the ridiculous futility of the repetition and took mirthful delight in finding ways to create games so as to ignite the endeavour, budding pupils though we may be. I’m not absolutely sure what these lines could possibly have been about, but we created them at length – one hundred lines at a time. Our creative instincts were channelled into finding ways to speed the process up. And so began a process of listing one hundred times down the lined-exercise paper, I, I, I, …, must, must, must, must, … as though on a burst-a-gut sentencing spree. Unlike compositions and stories, written lines were never kept. They were a metaphorical treadmill that tried and tested the child only according to how adept their hand writing was and their speed. 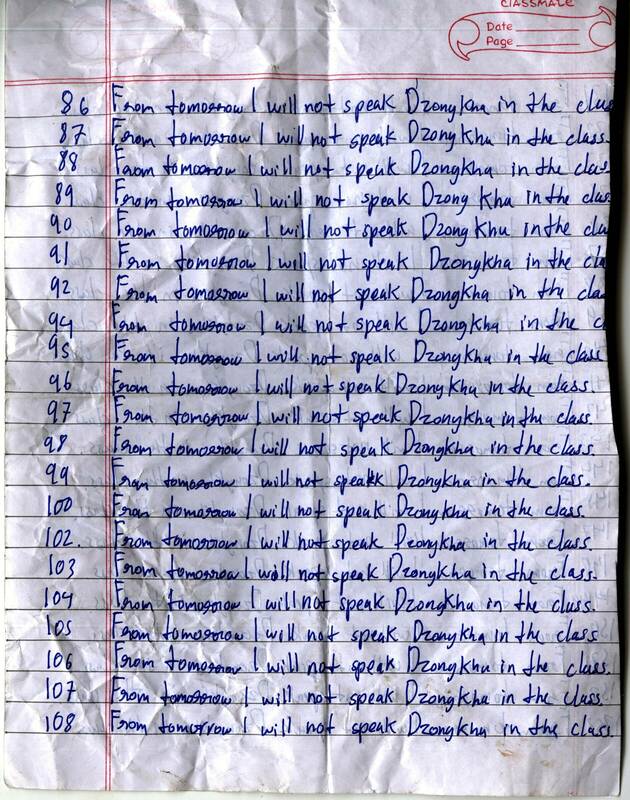 For some classmates a hundred lines would put them to task for an hour or more, in an activity seemingly interminable, frustrating, and humiliating. As other kids paid their dues to the classroom discipline and were free to go, those that were left laboured on, a prolonged process that always punished the same slow-writing kids the most. Of course the lines were rule-based with always a ‘must’ or a ‘should’. This was a mind-numbing punishment, and how educationally dumb, made ever the more so, by the fact that lines were ultimately heading for the bin. Make a better choice of self-sentencing and write it out for yourself right now! 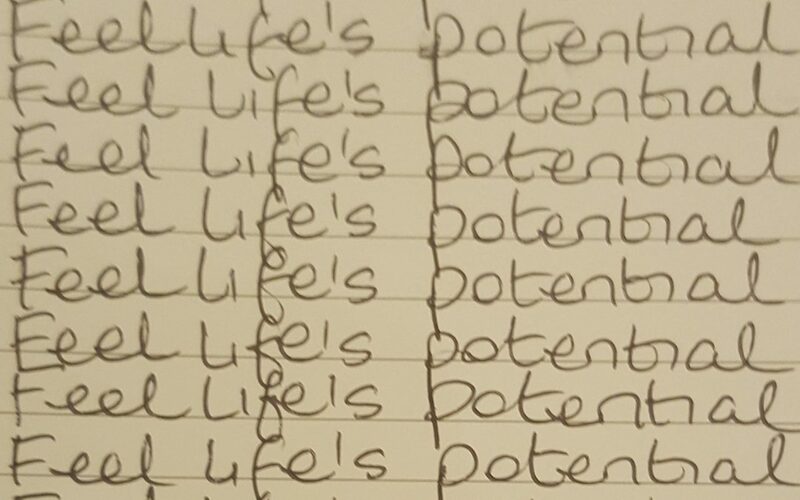 Had that been the reality for those of us kids who spent time hand-writing hundreds of lines, how very differently perhaps would, and could, our young lives, and future thinking have been—if we had we spent time being programmed by the power of writing positive, aspiring, life-affirming, lines! Choose a life-affirming line you would wish to ascribe to in your life and for yourself, right now. Go on… write it out a few times… well at least write it out times a hundred!